Well gee! I had no idea a cannery could be so blasé! 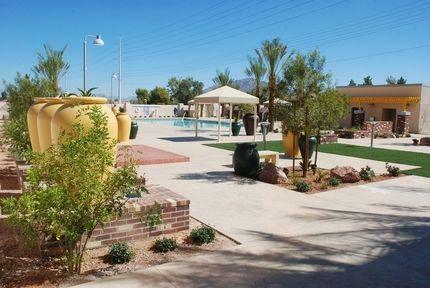 The Eastside Cannery Las Vegas Hotel rooms are consistent with the recent styling of mid-range rooms. That means neutral browns and fluffy bedding on decent beds. The bathrooms in the standard rooms are basic, with an open sink area and closed-off toilet and tub. The deluxe rooms for a few more bucks have jacuzzi tubs. Either way, the rooms give you a decent flat-panel TV and a king or two queens, plus a fridge. We love rooms with a cooler so we can get free drinks and keep sneaking 'em up to save for later. Much improved over the former property, but Eastside Cannery Casino Hotel Las Vegas is still a largely do-it-yourself property. There is room service, and check-in is pretty quick because there are only 307 rooms. Eastside Cannery Las Vegas Hotel gives you shampoo and conditioner for the taking. Or the using. We usually just take it and stuff it in a drawer at home and forget about it. Someday we'll bathe. Although Eastside Cannery Casino Hotel Las Vegas is now spiffed up, it is still mainly a draw for the blue-collar locals that live around the Boulder Highway. Some of the former clientele may take their business to the low-rolling Longhorn across the street. It's big but as uninspired as the rest of the Eastside Cannery Casino Hotel Las Vegas. Basically, this is a large body of water surrounded by a lot of concrete, but not much else. You could probably get a better value and a more memorable experience at other places, but you also won't be disappointed here if you know what you're in for before you go. Eastside Cannery Hotel and Casino Las Vegas has the usual suspects on the casino floor: blackjack, craps, roulette and pai gow. There are usually a few blackjack games going but often just one roulette and one craps in action. We saw $5 blackjack and craps (and up to 100x odds!!!) during a slow time. Roulette had 50-cent chips and a $2 minimum. You want cheaper? Head across the street to the Longhorn. Just bring a gas mask with you. Man, there sure are a lot of machines in this joint, including a good spread of video poker. They claim to be premiering the newest games from one slot vendor, IGT. So, if you're keen to play a new game first, come give it a whirl. Fair cocktail service, but nothing out of this world. The Boulder Highways joints seem to understand they get a lot of locals and don't want to get them too blotto too quickly. The CAN Club is the club here. It is decent, but overall slightly below average for off-strip joints. Most play earns less than 0.1% cash-back or free slot play. Table players should be dropping at least $15 a hand for a few hours to expect anything. There are nine screens in the sports book proper, with one of those being large. Six more screens are in the adjacent VP bar and they are tuned to the sports of the day. 80 seats in total, and all but nine are with televisions. This sounds about right. Out of every 80 sports betting fans, about five tend to be the Amish, and they tend to not want a TV in front of themselves while wagering. Seats are better than average, but don't have rollers and don't support particularly wide rear ends. Eight betting windows for your gambling pleasure. Digital signboards back them up. For the snoots laying down $20 a bet, drink tickets are handed out. There is a snack bar directly next door serving the things people expect to eat while betting on sports: chicken tandoori. Just kidding, it's the same old sandwiches, pizzas, salads and such. Prices are fair. They comp for sports bets at 3% for racers and 0.3% for sportsters. The comps can be used in the restaurants. Like most off-strip places, the Eastside Cannery appears to be more interested in race fans than sports fans. That's because they're a bunch of degenerates while sports fans are as pure as the driven snow. 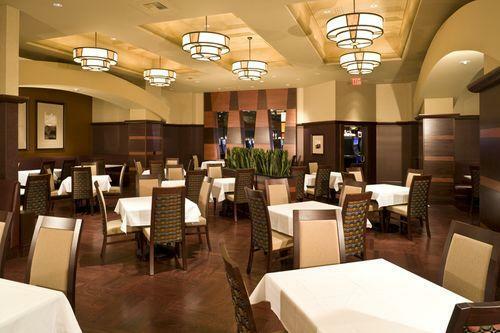 Eastside Cannery Hotel and Casino Las Vegas has four tables, with one or two going most of the time. They are nondescript green felt jobs. Eastside Cannery Casino Hotel Las Vegas chairs are exactly average. Actually, these are the chairs we have seen in poker rooms for years. They are disappointing now, though, considering the new, leather, rolling chairs many casinos are putting in. These have no wheels and no leather, but you are still grateful to not be standing. It is open to the casino on one side. The room is small, like a storage closet, so the tables are tight together. Hold 'em rules the land. $2-$4, and an occasional $1-$2 no limit game. Eastside Cannery Hotel and Casino Las Vegas claims to deal a frequent $4-$4 Omaha Hi and an occasional spread stud game, but don't expect those except maybe on weekends. None scheduled, at least not that we could find out about. This is not a crowded room, so the wait is fifteen minutes at worst. Usually, though, no wait. One buck an hour for an unlimited number of hours. So, if you play 24 hours a day for a week, you can earn $168. Actually, that makes us jealous. That's more than we get paid. 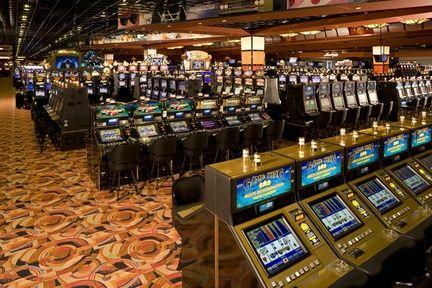 Games can be pretty rocky as the place draws locals that come to Eastside Cannery Las Vegas Casino Hotel for the low rake. There are much softer games on the Strip, and larger pots down the road at Sam's. They have cheap morning tournaments every day, but the admin fee is pretty steep considering the prize pool. Like 30%. A $3 dollar max rake on all games is a huge plus for an okay room. 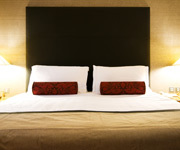 The 450 square foot Deluxe Rooms feature either a king or two queen sized beds. The beds feature a custom Sealy pillow top mattress that will provide hours of restful slumber. If you drag yourself away from the casino for that long, of course. The 600 square foot Petite Jacuzzi Suites offer panoramic views with two walls of floor to ceiling windows to gaze upon the Las Vegas Valley. The Jacuzzi tub features multiple massage programs to sooth away all of your aches and pains. The Premier Jacuzzi Suite doubles as the square footage and features a separate living area with a wet bar and complimentary bottled water.